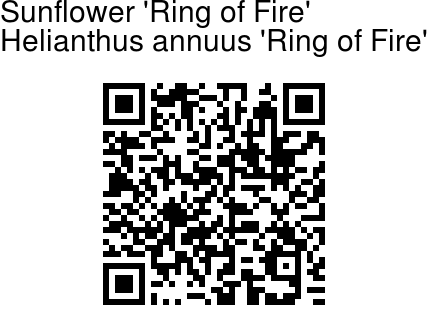 'Ring of Fire' is a five-inch sunflower having golden petal edges and a ring of red surrounding the chocolate brown center. 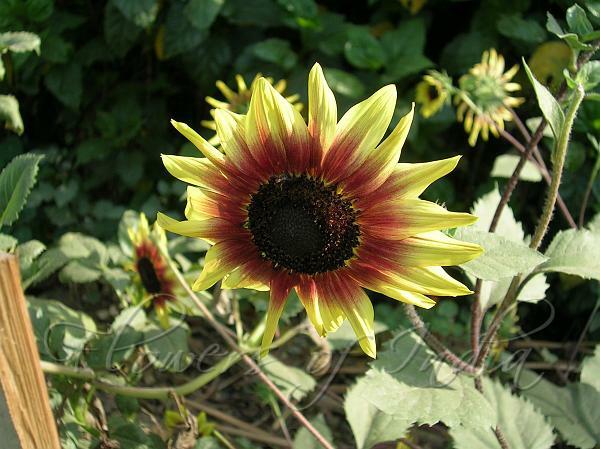 Decidedly different from other sunflowers, 'Ring of Fire' stands out in a crowd of plain gold or yellow flowers. Later to bloom, 'Ring of Fire' may require 120 days to show bicolor blooms, but this late season display is often what the garden needs for a fresh new look. Needing a full sun garden, 'Ring of Fire' plants may reach 4 to 5 feet tall, spreading 2 to 3 feet. The long flower stems are perfect for cut flowers. If not cut, flowers may produce seed for wildlife, another benefit to growing "Ring of Fire'.